The guilt of the fiendish murder of Junaid, who was stabbed to death on a train, cannot be sidelined by the Hindu majority under the slogan of “Not in My Name”. In fact, the Hindu majority should continue to be held guilty as long as such devilish acts continue. These acts are a stamp of shame on our Constitution and this challenge has to be met frontally. Secularism does not signify anti-religion. 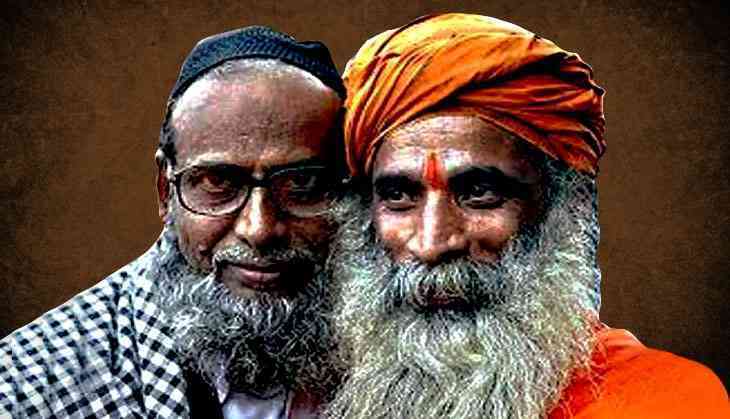 In India, people fervently believe in their respective religions and an overwhelming number of persons of all communities give equal respect to the religion of others. Secularism signifies giving equal dignity and respect to all religions. Of course, it goes without saying that the Indian State has no religion of its own, nor for that matter can any religion claim superiority over another religion by resorting to the false premise that any religion in the country is indigenous while others are foreign. This is heresy and is not permitted by our Constitution, which gives equal reverence to all the religions practiced by various communities of India. As expressed succinctly by 19th century British politician Lord Acton: “A state which is incompetent to satisfy different races condemns itself; a state which labours to neutralise, to absorb or to expel them is destitute of the chief basis of self-government”; we need only substitute minorities for races to in the above quotation to apply the test in India. Thus inclusive development in India, and for that matter in any country, alone is the path to prosperity. It is an undeniable truth and needs to be irrevocably accepted by all in India, namely that minorities, Muslims and Christians, are not outsiders. They are an integral part of India. Let me quote what Swami Vivekanand (even the worst of RSS idealouge will not deny that he was one of the greatest spiritual personalities of India) has to say of the intimate connection between the spirit of Islam and Hinduism. He told Hindus not to talk of the superiority of one religion over another. Even toleration of other faiths was not right; it smacked of blasphemy. He pointed out that his guru, Sri Ramakrishna Paramhansa, had accepted all religions as true. There can be no real progress in India which does not include minorities, Muslims, Christians as equal stakeholders. It needs to be emphasised that development and growth in the country has to be all inclusive – the mode of development must necessarily take into account the needs and sensitivities of minorities, Dalits and tribals. The basic task is to reconcile the pluralism which exists in that State, and the need to respect the identity of the various groups, with the overall concerns of non-discrimination, equality, national security, territorial integrity, and political independence. Minorities, especially Muslims, have been the ignored factor by all Central governments. It is not understood why ever since the Prime Minister’s High Level Committee Report was given in November 2006, and which had recommended the establishment of Equal Opportunity Commission as an instrument to prevent discrimination against Minorities in the private sector like housing, employment, (since courts can not interfere in discrimination in private sector) this recommendation has been inexcusably violated and also remained in cold storage. Thus, inclusive development in the country alone is the path to prosperity. It is an undeniable truth and needs to be irrevocably accepted by all in the country that minorities, Muslims and Christians are not outsiders. They are an integral part of India. There can be no real progress which does not include minorities, Muslims and Christians as equal stakeholders in the country. Rajinder Sachar is a former Chief Justice of the Delhi High Court. He chaired the Sachar Committee, which submitted a report on the social, economic and educational status of Muslims in India.